There is already a lot of talk about most Android devices being malware infected (not that I trust them) but to be on the safer side, it is always good to have a nice, strong Anti Virus up and running on your device. After all some of the devices are costlier then the laptops. So it is my humble advice that you should have a Anti Virus installed on your device. 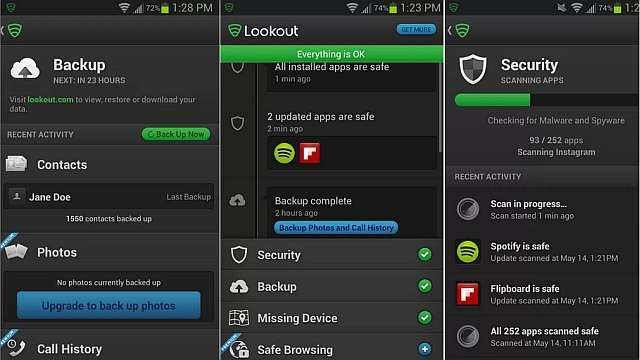 And as always I bring you the best of the FREE Anti Virus Apps available on Google Play. You can download any one of them and install it on your device. 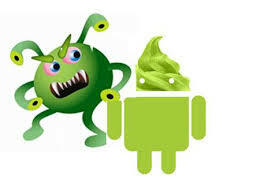 This new anti virus company has been garnering a lot of nice reviews for its PC App also. 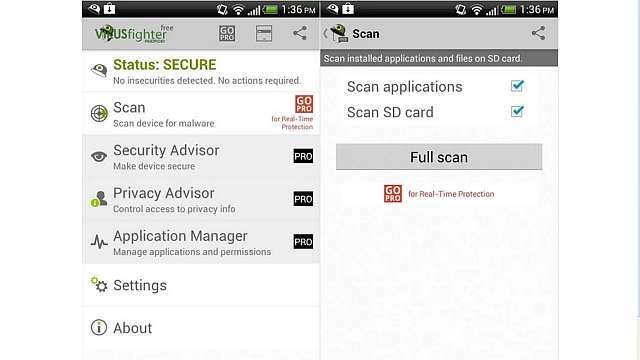 The Android version of this free App scans every new App you install on your device. 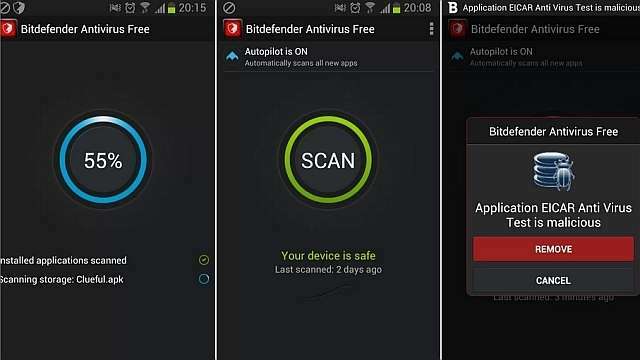 Bitdefender has also claimed that it can detect the newest "Master Key" Android Exploit. 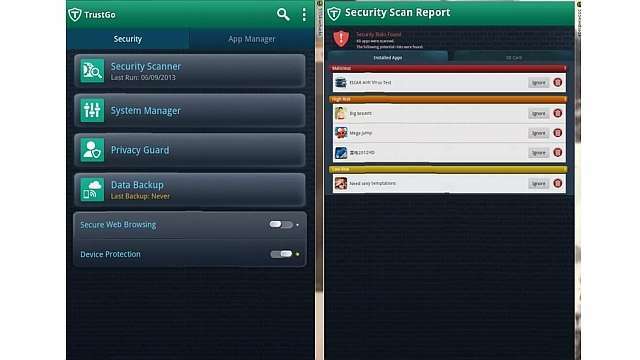 In addition the newly updated version of the free app auto scans new app installations on your device, looking for viruses. An update to the the Bitdefender app claims to have introduced support for detecting the newest "Master Key" Android Exploit. 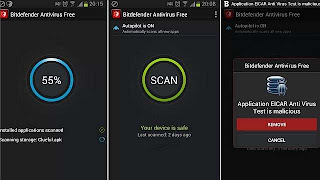 You can download Bitdefender for Android from here. This free App from TrustGo Inc has two modules, Anti Virus and Mobile Security. The best feature of this App is the "Find My Phone" This feature lets you see the image of the person who steals your phone(the thief has to input the wrong password thrice). Once the thief has done that it will take a snap with the front camera using the "Candid Camera" feature and mail you his image. 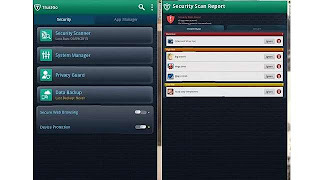 As is required from any Anti Virus, this App will scan your devices for malware and personal privacy, identity and data theft. It also has a Secure Web browsing feature. You can download the App here. This is from SPAMfighter aps and true its own name it fights both Virus and malware. 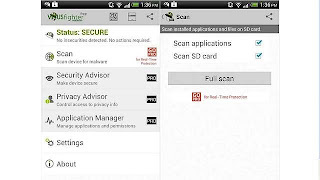 The App scans the installed Apps and data for malware. It also comes with paid version, however the free version is also just as good. You can download the App here. This one is published by NQ Mobile Security and offers you protection against virus, malware, spyware, Trojans and phone hacking. 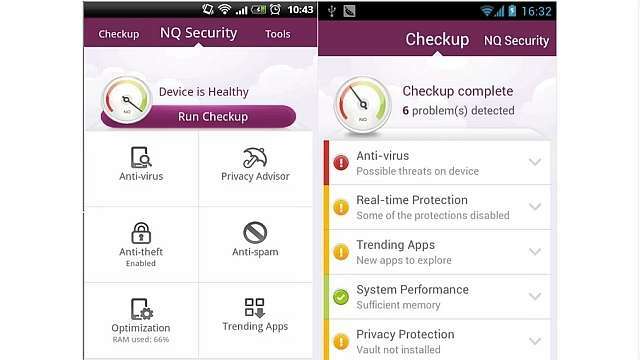 Other then virus and malware scanning, NQ also offers Safe Web browsing and Call and SMS Blocker. You can download the App here. 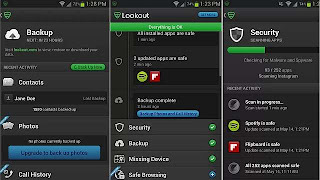 This App is from Lookout Mobile Security and it also offers mostly the same services as the above ones. This one also has 'Find My Phone' feature, safe web browsing. The paid version offers photo and call history backup and restore feature which you can use to transfer data to another device. You can try out the free version here. Google is coming out with its own "Find My Phone" App which should be available by the end of August 2013 whereas Sony has already launched 'my xperia' remote security service. If you own a Xperia you might sign on to that one. Or you can be a free beta tester for avast! which you can do here.